Suffering a workplace injury can be one of the more difficult and confusing times of a person’s life. The attorneys of Celeste Law Firm are here to answer any questions you may have. Don’t hesitate to reach out to us for more information on how we can assist you in your case. 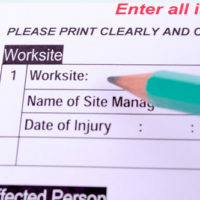 When Do Workers’ Compensation Benefits Kick In? You are entitled to receive indemnity benefits (lost wages) at 66.7 percent of your average weekly wage (determined by the average wages per week in the 13 weeks prior to your accident or injury) while on a no-work status. You will not be paid for the first seven days of work unless you miss over 21 days, at which point you will be paid retroactively for those first seven days. If you were sent to medical providers after the accident by the carrier, those bills for services, such as ambulance, emergency room, and other treatment, will be paid by the carrier. If you receive medical bills from an authorized medical provider, immediately give them to your attorney, who will file a claim to have them paid. Do I Pay Tax On My Wage Replacement Benefits? Fortunately, you do not have to pay taxes on your indemnity benefits. However, if you have returned to alternate duty and are receiving both partial disability indemnity benefits and wages from your employer, you will pay taxes on your earnings, but not on the temporary partial disability indemnity benefits. An experienced attorney can provide more in-depth legal advice on the tax implications of workers’ compensation indemnity and settlement proceeds. How Long Can I Receive Temporary Disability Benefits? There are two main categories of workers’ compensation disability benefits: temporary and permanent. In Florida, you can receive temporary benefits (total, partial, or a combination of both) up to five years from the date of accident. To learn more about temporary and permanent disability benefits, contact a West Palm Beach attorney at Celeste Law Firm. Can I Receive Social Security Benefits and Workers’ Compensation at the Same Time? Yes, you can receive social security disability and workers’ compensation benefits at the same time. However, in Florida, workers’ compensation takes offsets, i.e. pay less is the total of workers’ compensation and SSDI exceeds 80% of your pre-injury wages. Is it Possible to Receive Reemployment Assistance and Workers’ Compensation at the Same Time? Florida’s Reemployment Assistance program offers partial wage replacement for a temporary period of time (6 months) for workers who are unemployable at your previous wages due to permanent workers’ compensation injuries. The experienced West Palm Beach workers’ compensation attorneys of the Celeste Law Firm are here to clear up any questions you have concerning workers’ compensation. We will help you secure the benefits that you are owed in a timely manner. Give us a call today at 561-478-2447 for swift and experienced legal help.